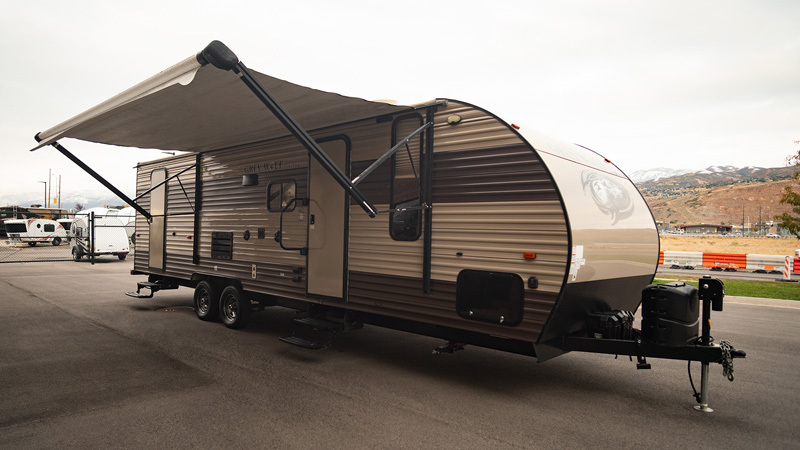 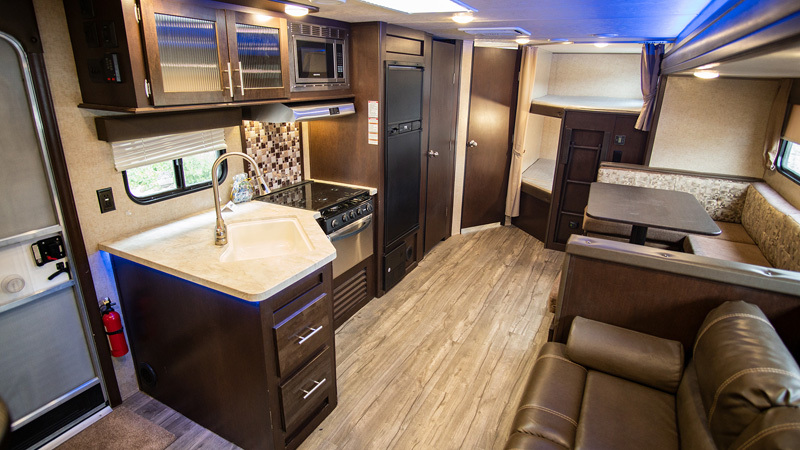 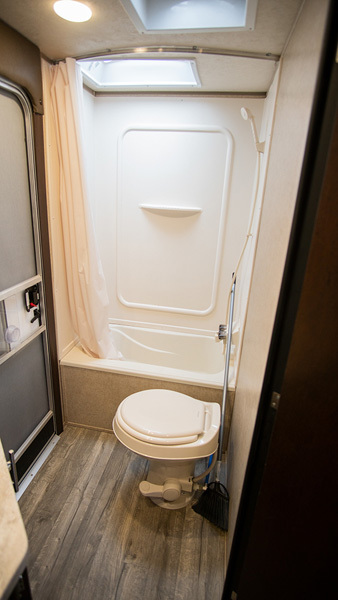 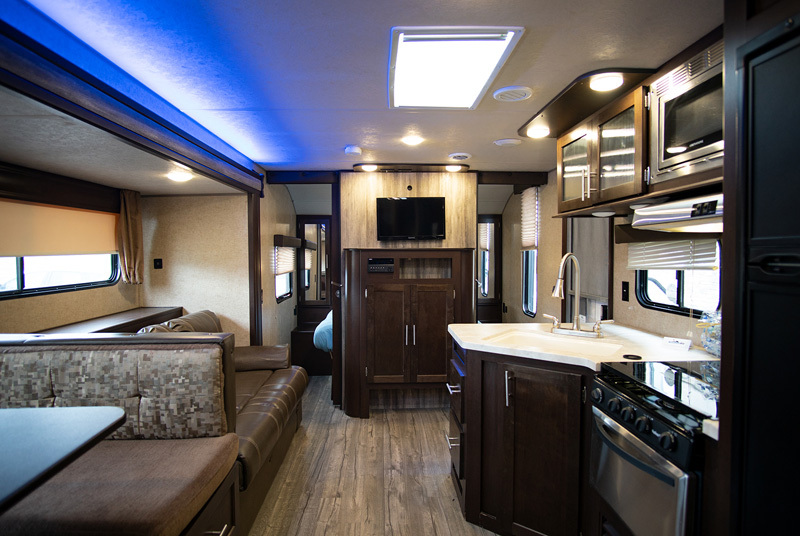 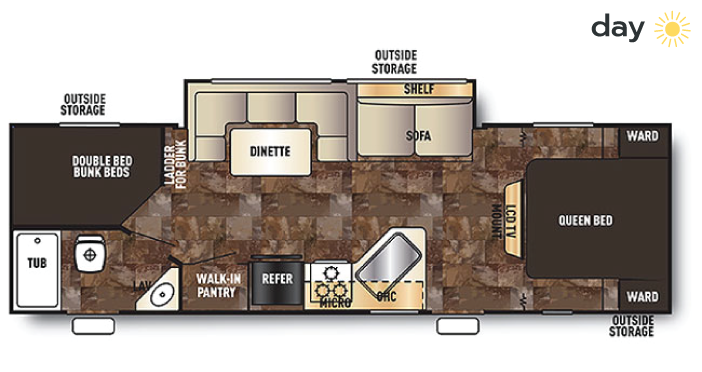 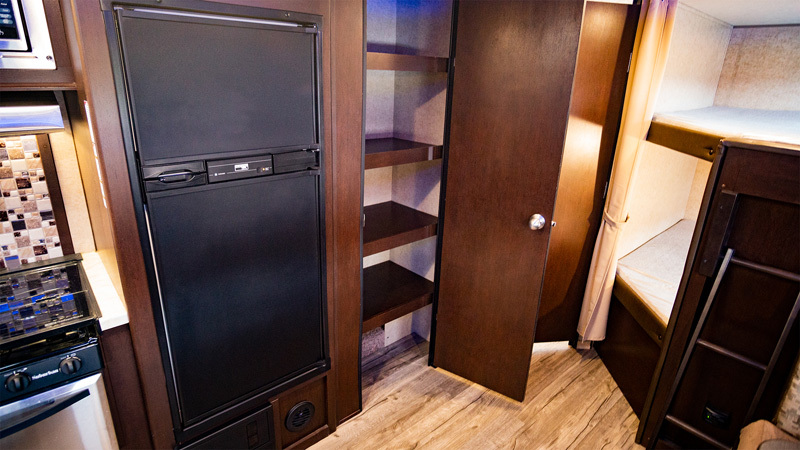 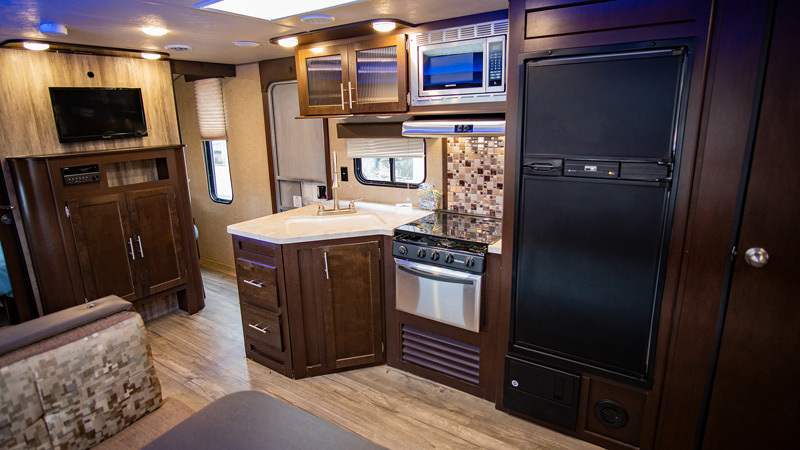 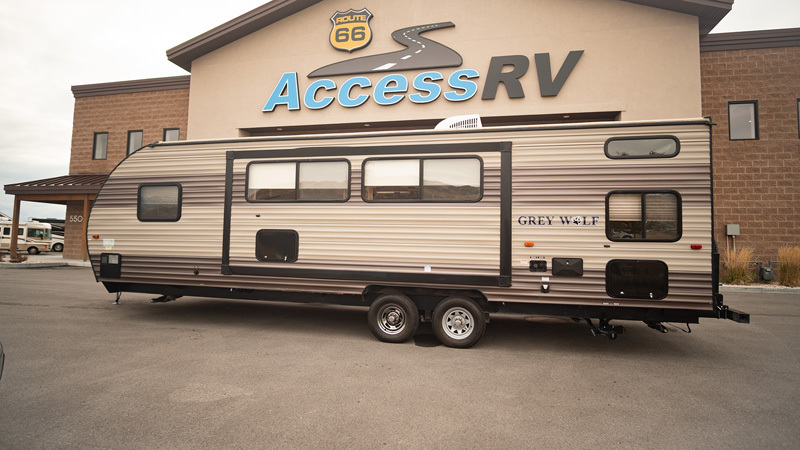 The 27 foot Travel Trailer features an Island Queen walk around bed with side wardrobe and overhead storage. 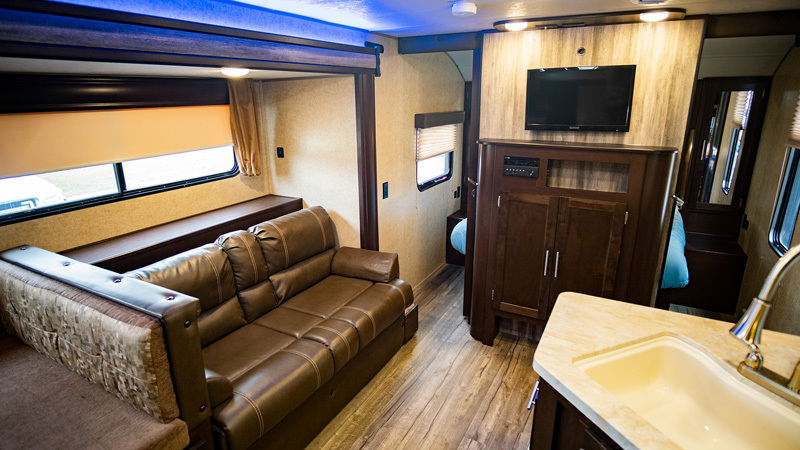 Just in front of the master bed is a sofa bed. 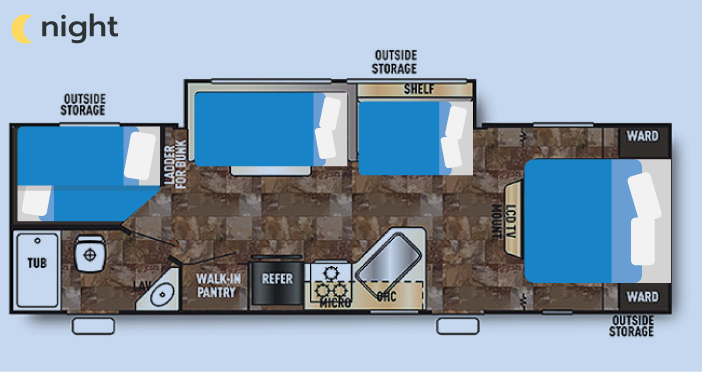 At the tail end of this trailer there are two bunk beds, the bottom bunk is wider and the bunk above is a standard bunk. 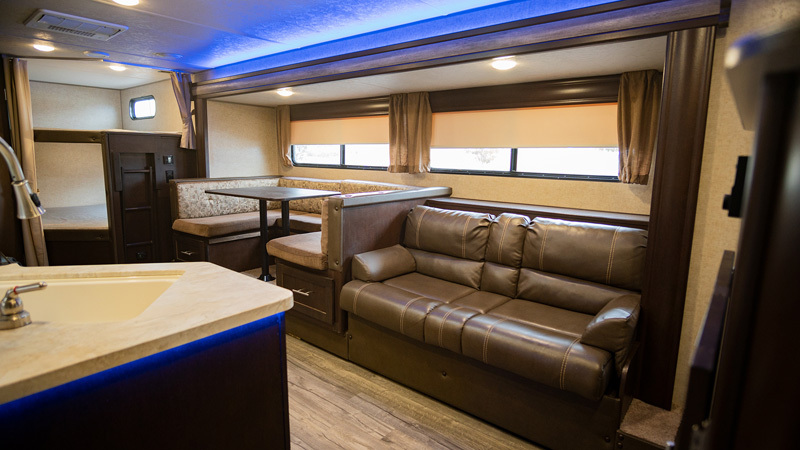 The dinette also transforms into a sleeping point. 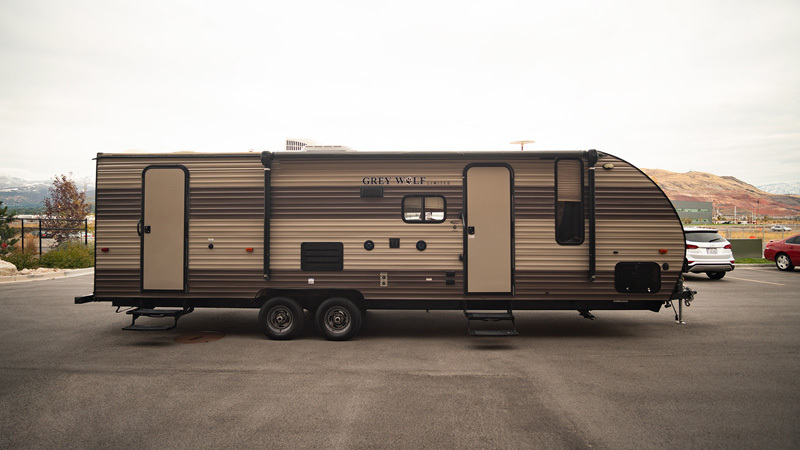 This trailer’s GVWR is 7740 lbs. 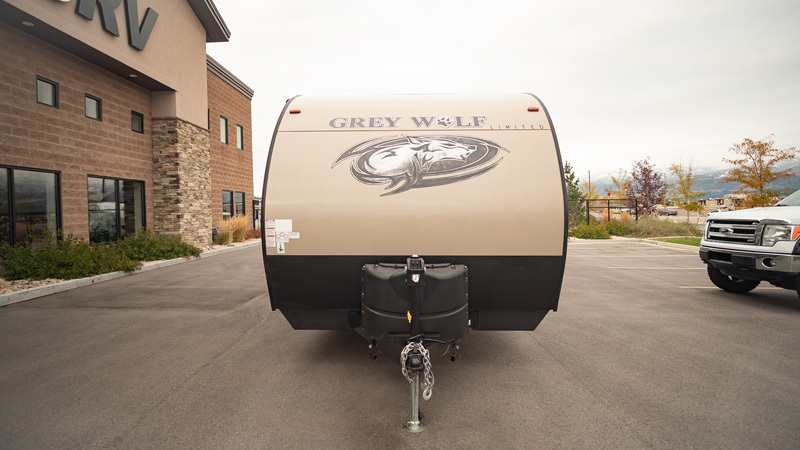 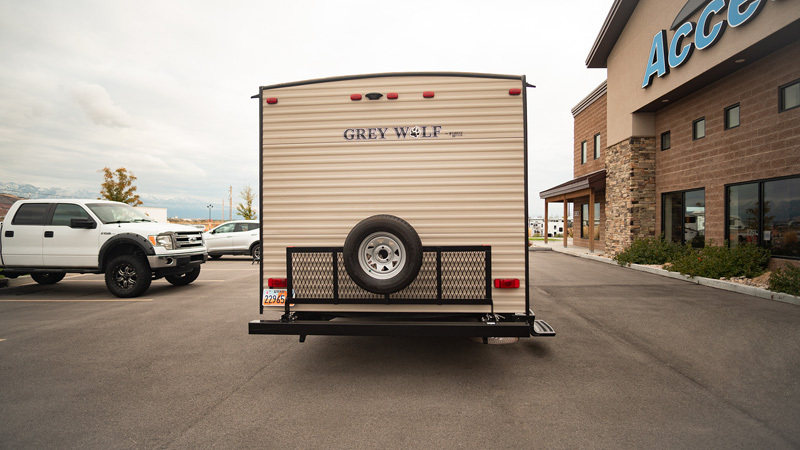 Click here to see if your vehicle can tow this trailer. 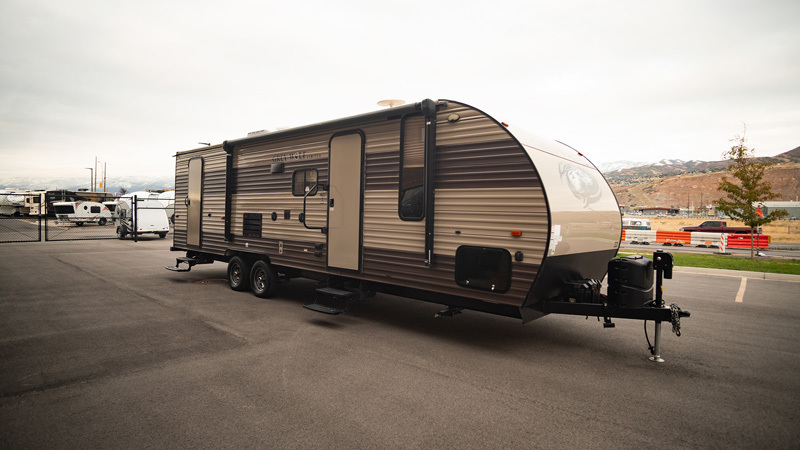 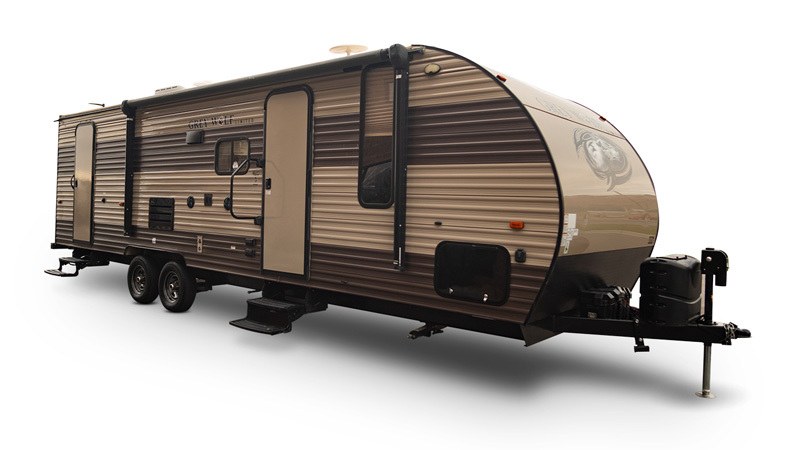 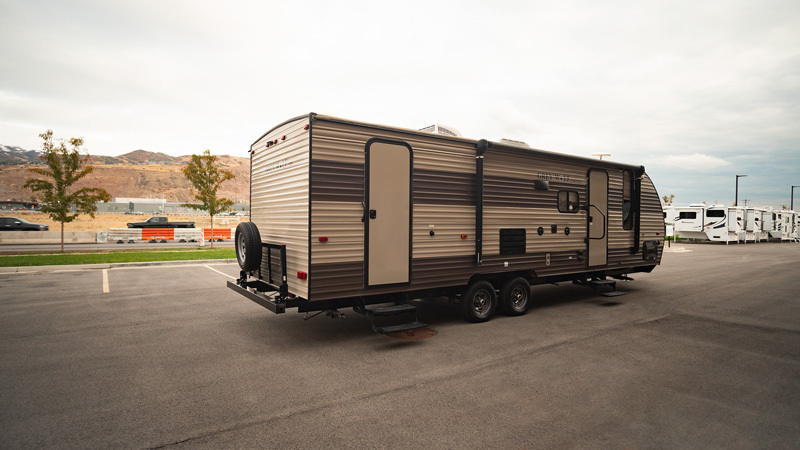 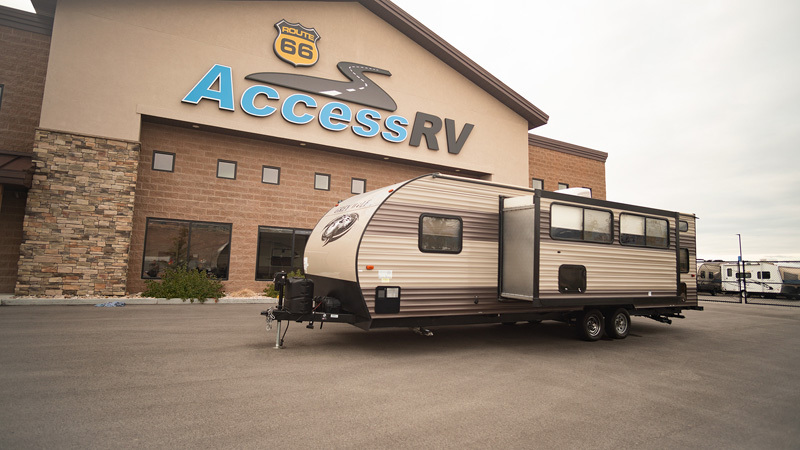 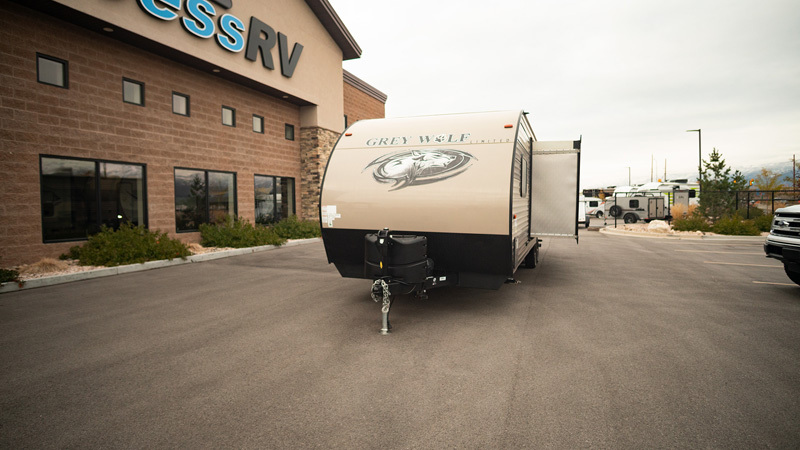 Vehicle Type: Travel Trailer Length: 27 ft.